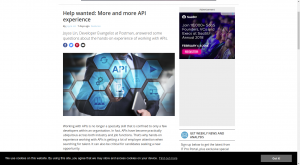 Organisations are recognising the role of APIs in enabling them to develop revenue-generating applications and services. This evolution has been dubbed ‘the rise of the API economy’. Pete Hulme believes it will continue to grow this year. 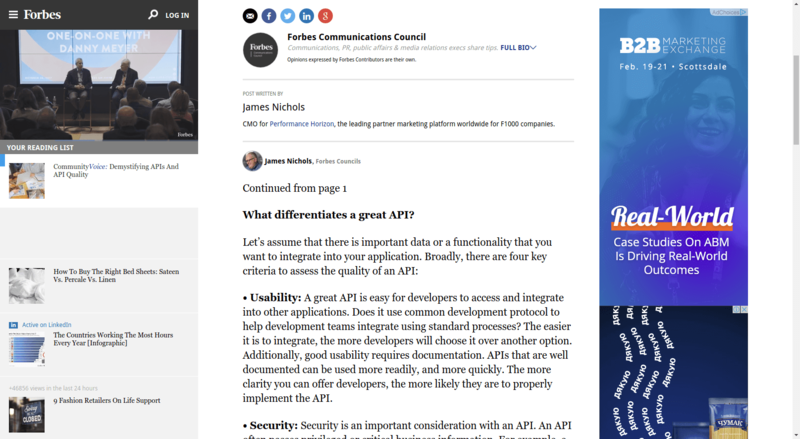 James Nichols explains API basics to marketers in his article. 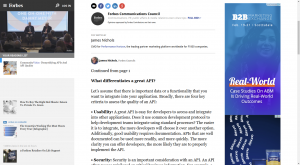 Why are APIs important, what is the difference between public and private APIs, and four criteria for API assesment - the answers to these questions will help you to understand the API essentials. 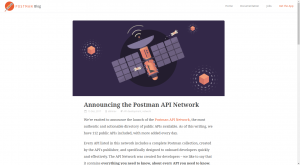 Postman, the development toolchain app, announced the launch of the Postman API Network The founders hope it will become the most authentic and actionable directory of public APIs available. 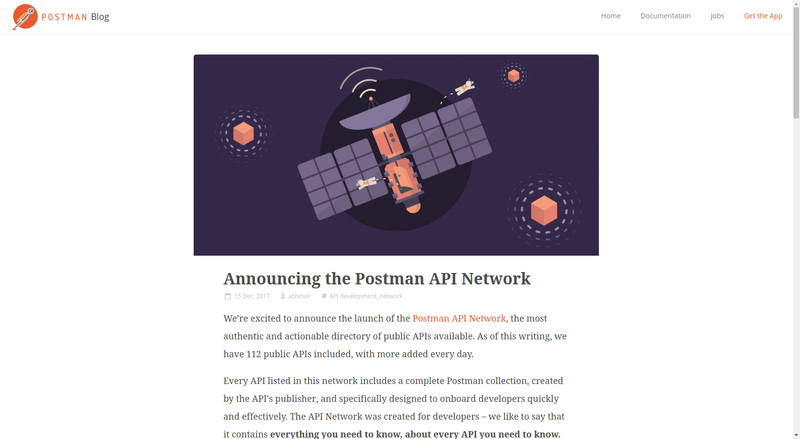 Every API listed in this network includes a complete Postman collection, created by the API's publisher, and specifically designed to onboard developers quickly and effectively. 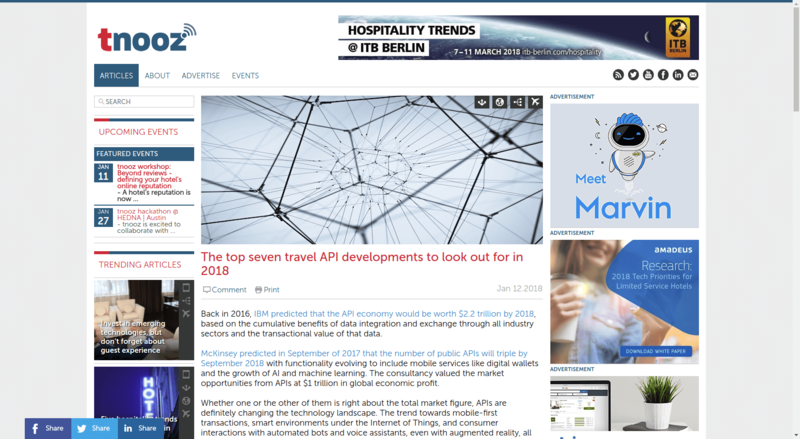 Marisa Garcia describes a positive trend in the growth of APIs in travel and expects API activity to intensify this year. 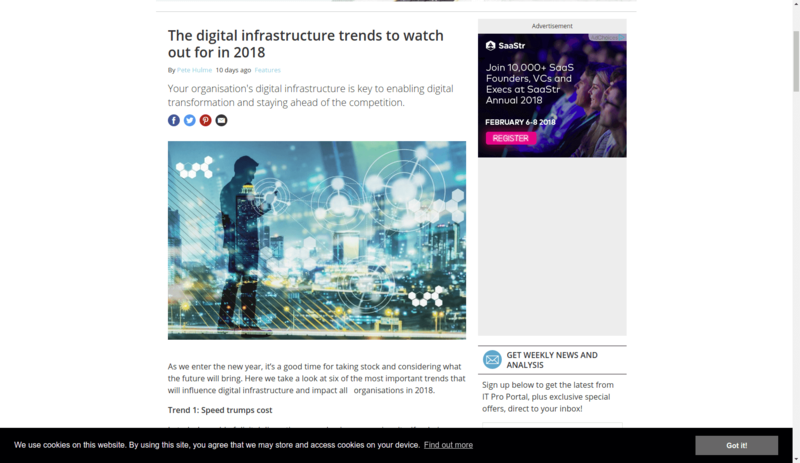 It is explained by the fact that the growth of mobile-first transactions and consumer interactions with automated bots and voice assistants all rely on the exchange of data. So what are the API developments to look out for in 2018? Check the article to find the answer. 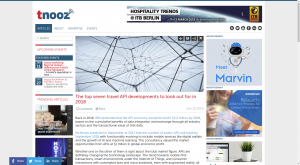 APIs have become practically ubiquitous across both industry and job functions. That’s why hands-on experience working with APIs is getting a lot of employer attention when searching for talent. It can also be critical for candidates seeking a new opportunity. Joyce Lin explores this new trend. 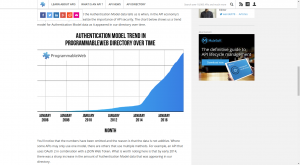 If you are interested in getting latest news in the API world, check our digest #85 and #84 as well as stay tuned for the new blog posts.